Amazon offers the Febreze Plug Air Freshener Scented Oil Refill 3-Pack in Gain Original for $12.97. Clip the $3 off coupon on the product page and order via Subscribe and Save to drop it to $9.32. Plus, Prime members receive free shipping. That's about $4 less than you could expect to pay in local stores. Macy's offers a selection of Karen Scott Women's Sweaters in several styles (Cotton Colorblocked Cowl-Neck in Neutral pictured) from $7.86. Opt for in-store pickup to dodge the $9.95 shipping fee. That's up to $39 off and the lowest price we could find. They're available in select petite, regular, and plus sizes. Walmart offers the RCA 60" 4K Flat Ultra HD LED Televison for $359.99 with free shipping. That's $340 off and the lowest price we could find. It features a 3840x2160 native resolution and four HDMI inputs. Retailers will play catchy songs and put up fancy displays to get you to spend a ton. Here's how you can stay a step ahead. Retailers are eagerly awaiting the opportunity to rake in cash during the back-to-school rush. This year, back-to-school spending is expected to reach $29.5 billion, according to the National Retail Federation. To attract shopping parents, stores roll out tons of discounts for everything on your list. But are the deals all they're cracked up to be? Not necessarily. Here are nine tips to help you sniff out the tricks retailers use to get in your wallet. Have you ever found yourself lip-syncing your favorite songs while shopping? If the jams keep coming, they could relax your mood to the point where you become distracted and say yes to a purchase without thinking twice. Stay focused! Block out the catchy tunes, pick up the items you need, and get out of the store before you spend too much. Block out the catchy tunes, pick up the items you need, and get out of the store before you spend too much. Back-to-school sales may seem like a generous gesture by retailers, but the deals can be misleading. In fact, you'll find instances where the item is actually marked up in the ad, only to be discounted back down to the original price. To avoid getting ripped off, shop around or use a price comparison app. There's a reason why retailers invest so much money in displays. Image is everything with certain groups of customers. And the more appealing the display, the more attention it can garner, which equates to more sales. But if a featured item isn't on your list, leave it in the store. Speaking of eye-catching tactics, how many back-to-school ads have flashed across your TV screen recently? And how do your children react? If it's with extreme excitement, be up front about what you will and won't be purchasing from the ad. Be sure to explain that ads are designed to sell things, even if kids and parents don't need a particular item. This conversation should help curb potential conflicts with the shopping list. Unless you don't mind spending a little more, wait for the best sales to come around. Don't worry; there will be plenty before school's back in session. There will also be a plethora of markdowns on all the leftover items later on. Running low on funds? It's best to scale back on spending rather than applying for a credit card to make up the difference. Sure, it could give you more cushion to shop, and you could receive a 10% or 15% discount. But consider the steep APR and annual fee (if applicable) you'll have to pay in the future. Your children may be the apple of your eye, but they can also be a major distraction when shopping. 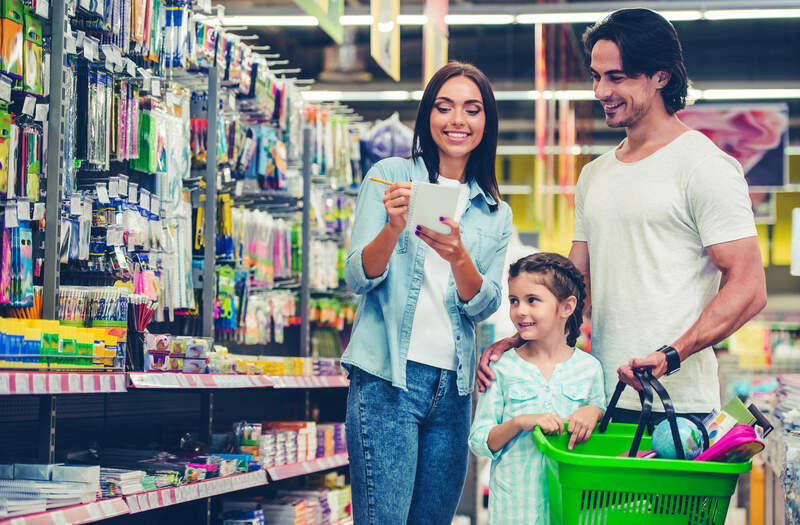 Though some kids are naturally frugal, that doesn't mean they won't ask for items that aren't on the list. And good luck keeping up with little ones while making your way through those crowded aisles! We typically advise against shopping online during the back-to-school season. Why? Because "free shipping" is rarely free. You'll need to spend a certain amount to take advantage of the deal. If a store is offering free shipping on $50 orders and you only have $25 worth of supplies in your cart, spending $25 more just to save on shipping completely defeats the purpose. Readers, what strategies have you used to outsmart retailers during the back-to-school shopping season? Share your tips in the comments below! When Is Your State's Tax Free Weekend in 2017? After spending several years as a governmental accountant, Allison transitioned into the world of freelance writing. 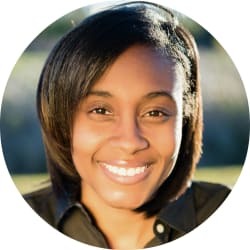 Her work has appeared on on a number of reputable sites, including The Wall Street Journal, Investopedia, Daily Finance, MSN Money, and Credit.com.